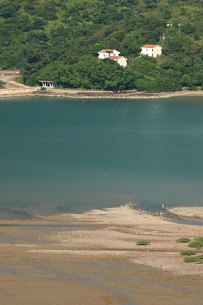 in Sai Kung East, Chek Keng is a seashore lowland facing Chek Keng Hau. 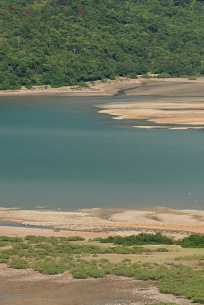 The village by the coast had a population of over 100 in the 60s. 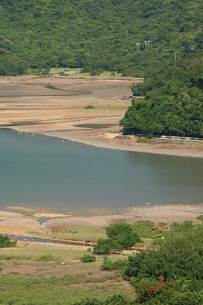 Chek Keng is at the hub of hiking trail network in Sai Kung East. 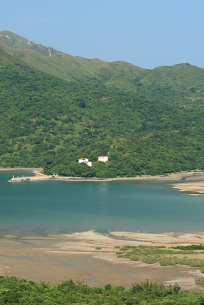 Ferry services operate daily between Ma Liu Shui / Wong Shek and Tap Mun, both stop over at Chek Keng public pier. 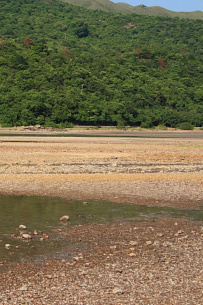 It offers lots of campground with basic amenities such as toilets and water supply, making it a favourable campground in the region. 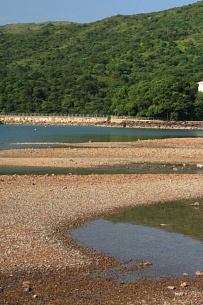 The starting point is at the pavilion opposite the bus stop at Pak Tam Au, which is also the finishing point of the MacLehose Trail Stage 2. Follow along the concrete path and go downhill. 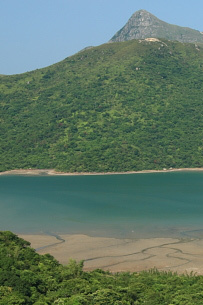 Turn right at the crossing (the path to the left leads to To Kwa Peng) and head to the Youth Hostel. The path then runs along the seashore. 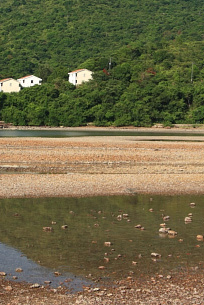 After passing the village, continue on the path, turn left at the next crossing (the path to the right climbs up to Tai Long Au) and head to the pier. *The speedboat operators may not have the license to provide such service. Please assess the risks involved and consider the insurance issues before boarding. 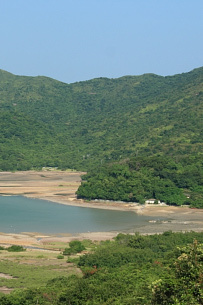 This is a leisurely stroll especially suited for family outing, which offers views of the offshore mudflat and the Sharp Peak soaring in Sai Kung east.